STATE-Owned Enterprises (SOEs) will soon be expected to pay 15 per cent of their gross profit to the government as dividend, the Executive Chairman of the State Enterprises Commission (SEC), Mr Stephen Asamoah Boateng, has hinted. The departure from the old regime where dividends are paid on net profit will come into force after the State Interest and Governance Authority Bill, which is presently before Parliament, has been passed into law. The new legislation which is expected to spark a new round of debate around the management of SOEs in the country, defines the objective of SOEs, including the separation of commercial and non-commercial policy objectives, financing of their operational costs directly from their budget in a timely and transparent manner among others. 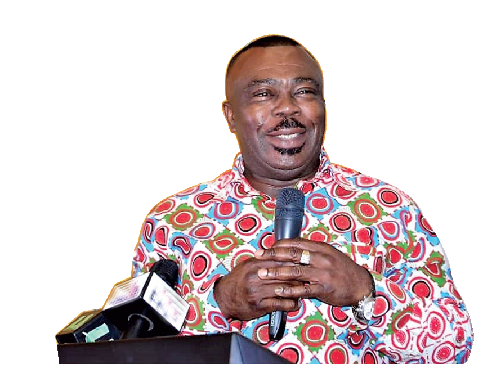 Mr Asamoah Boateng, who was speaking to the GRAPHIC BUSINESS after the 2019 Breakfast Meeting on the governance of SOEs in Accra last Friday, said the legislation had become necessary in view of the fact that majority of SOEs refuse to pay dividends to the goverment in spite of the huge capital injections made into their operations. However, reacting to the government’s proposal, renowned legal practitioner and tax expert, Mr Ali-Nakyea Abdallaha, told the GRAPHIC BUSINESS that paying dividends to the government from gross profit will increase the administrative cost of running SOE’s in the country. He said although the government as a shareholder was entitled to dividends, “the challenge is that, they need to address the mismanagement of state owned enterprises because that is where the problem is, so if you think they are overspending and throwing you into a loss, check their expenditure rather than charging a percentage of the gross profit because they can’t declare dividends if they have not been able to settle their liability”. With regards to the issue about Good Corporate Governance practice, another thorny issue in recent times, Mr Asamoah Boateng said due to inefficiencies in the management of SOEs and the lack of good corporate governance practice in their operations, some of them were unable to generate their own revenues. “I was surprised to realise that they were not paying dividends but if you go to their enterprises they have all sorts of ways of getting money and they will give you a reason that they are in debt but they do pay bonuses and they have corporate social responsibilities budget and all that. “If private businesses are making money from the same industry then why are you making loses and indeed you are not paying dividends and when there is a debt you come back to the government to bail you out. The government bailout is taxpayer’s money so supervision is key.” he said. As a result, he said the legislation would enhance transparency and disclosure of financial and operational results of all SOEs to ensure that the government derived some returns on the investment made in the entities. “As of now, the government gets nothing so the Minister of Finance in his speech said that we must find a way to pay something to the shareholder so that the pressure on our country’s finances would slow down. So we have written to them, the letter said they must pay 15 per cent of their gross profit as dividend,” he explained. In 2017, only 14 out of the 86 entities, in which the government maintains equity, paid dividends to the state. Of the 14 entities, majority of them were Joint Venture Companies, with only three of them being fully fledged SOEs. There was also highly unsatisfactory compliance of SOEs to the Public Financial Management Act, according to the 2017 State Ownership Report. Although the legislation is expected to affect all the 86 entities in which the government maintains equity, Mr Asamoah Boateng said some of the entities had expressed their inability to meet the target due to their current financial positions. Therefore, he said the government would categorise the entities based on what level of dividend their financial statements allowed them to pay. “Some of them are not happy and one CEO said they could not afford it so we are going to make some categorisations of the SOE’s to know what their financial statements allow them to pay what level of dividends so it’s my job to categorise them,” he explained. The current categorisation of the SOEs is based on their profit margin, their capitalisation and their strength as a corporate entity. He said another interesting part of the law was the sanctions element which would ensure supervision of the entities. “Most of the SOE’s in the past have been left to do their own thing and because there was no supervision it was difficult to bring them to line but now with the State Enterprise Commission evolving into State Interest and Governance Authority (SIGA) we are trying to let them know that without supervision you cannot work for the state,” he said.